(NewsUSA) - Even some Sunday school teachers are subject to it. So why are Uber and Lyft so averse to having their drivers fingerprinted that they just suspended service in a major U.S. city? 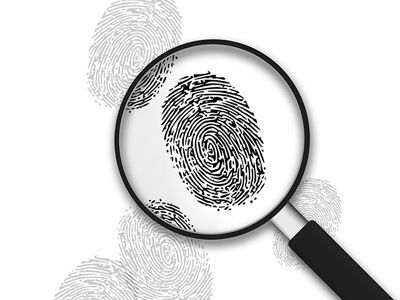 Fingerprints are widely considered the best way to weed out criminals, but checking them costs more than the simple name-based background reviews the app-based ride-hailing companies have fought hard to continue using across the country. So a few months after the City Council in Austin, Texas, voted last December to require them anyway for public safety reasons, Uber and Lyft spent $8.6 million on a campaign blitz -- described as full of “dicey misdirections” in the city’s largest newspaper -- to get voters to overturn the regulations. By a margin of 56 percent to 44 percent, voters said: Hell, yes, we want your drivers fingerprinted, just like cabbies and limousine drivers are. Ride-hailing drivers have been accused of a string of rapes, murders and other crimes across the nation. Uber agreed in April to pay as much as $25 million to settle a lawsuit in California that accused it of misleading customers about the strength of its background checks on drivers. “Laws designed to protect consumers cannot be ignored,” San Francisco District Attorney George Gascon declared. What makes the Austin vote all the more amazing is that people went to the polls knowing that Uber and Lyft had threatened to pull out if the rules weren’t loosened. “The threat brings to mind what was, for my generation, a famous (humor) magazine image,” an Austin American-Statesman reporter wrote, referring to a 1973 National Lampoon cover of a man pointing a gun at a cute little dog’s head. “‘If You Don’t Buy This Magazine, We’ll Kill This Dog,’” the headline said. The “dog,” in Austin’s case, the reporter went on to clarify, being their customers and as many as 15,000 (at least temporarily out-of-work) drivers. Public safety advocates are hoping the Austin vote marks a turning point in the ongoing effort to get the Ubers of the world to play by the same rules as everyone else. “Until all municipalities require suitable background checks for drivers of these ride-hailing services, we fear continued disastrous consequences as a result of digital hitchhiking,” said Scott Solombrino, co-founder of the National Limousine Association (www.Limo.org). Meanwhile, Austin Mayor Steve Adler has offered to return to the bargaining table to negotiate a compromise, and both Uber and Lyft are urging Austinites to contact their City Council members if they want the services to resume. And, oh, yes, at least one small, start-up ride-hailing company named GetMe -- apparently sensing an exploitable opening -- has said it has no problem complying with the fingerprinting requirement.